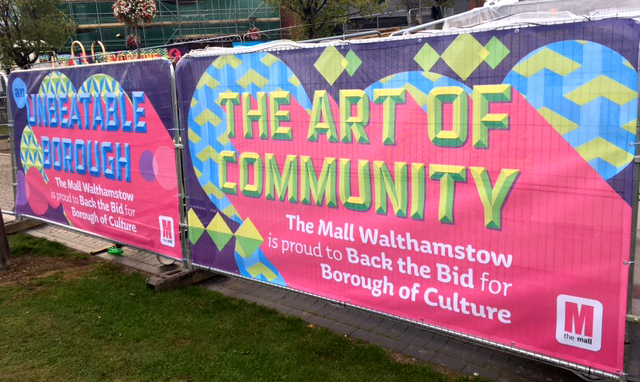 The High Tide festival is a festival of live performance staged by the National Theatre, taking place outside The Mall Walthamstow in the Town Square Gardens. 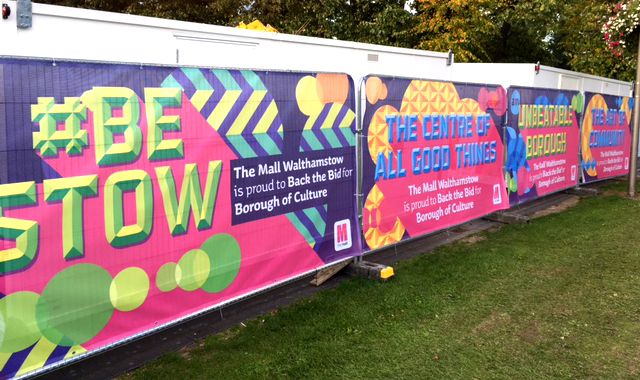 The Mall saw an opportunity to use some of the fence panels surrounding the festival site to promote their support of Waltham Forest council’s bid to become Borough of Culture, a £1m prize, launched by the Mayor of London. 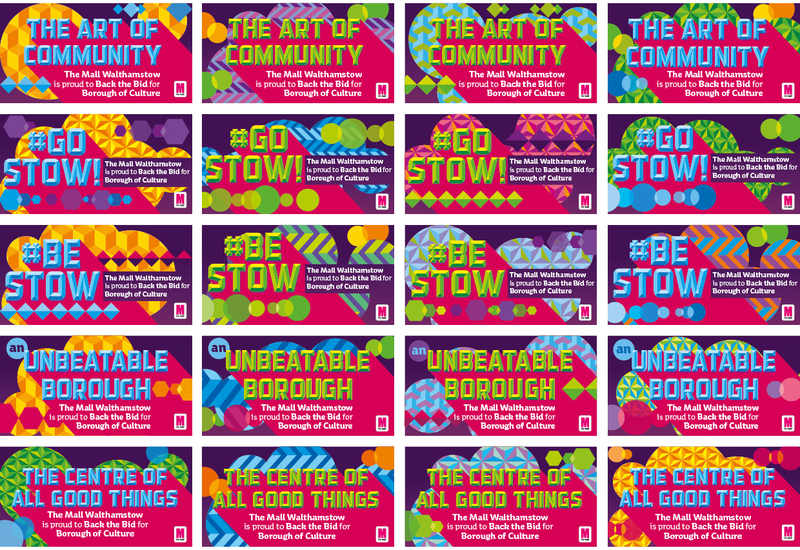 They commissioned Simon Inc to create messaging and graphic treatments for 20 fence panels promoting that campaign and their support of it in a similar style to the construction hoardings outside the Mall itself.